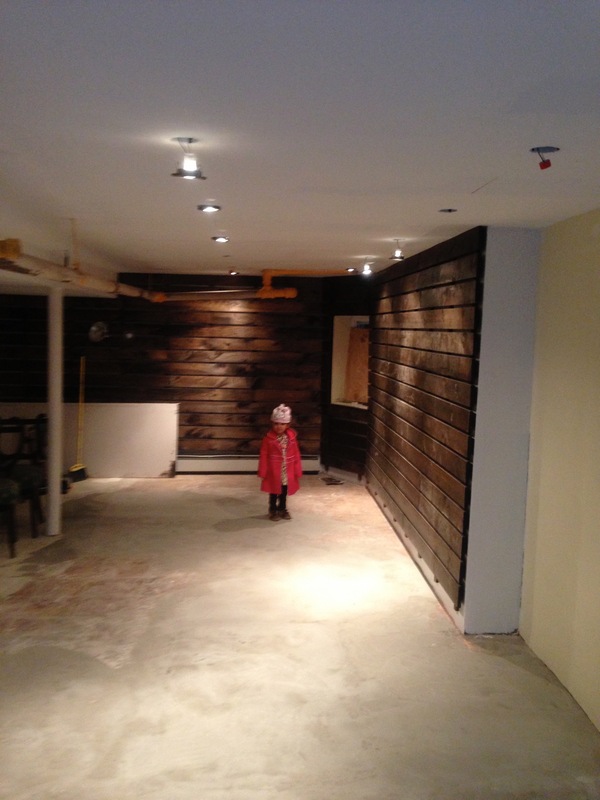 We had no intention of just closing up and shutting the shop so we pounded the pavement in search of a new home. At first it seemed a bit bleak, as Mom and Pop shops all over town were closing up, to make way for new buildings, chain store, banks or some other shop riding the coat-tails of the latest trend. We thought a few times we may have to resort to plan B. But after a few months of soldiering the streets, we found a shop. It was at 218 East 82nd Street. It was about 600 square feet of raw space that was once a yoga studio and before that, for many years, a seamstress shop. 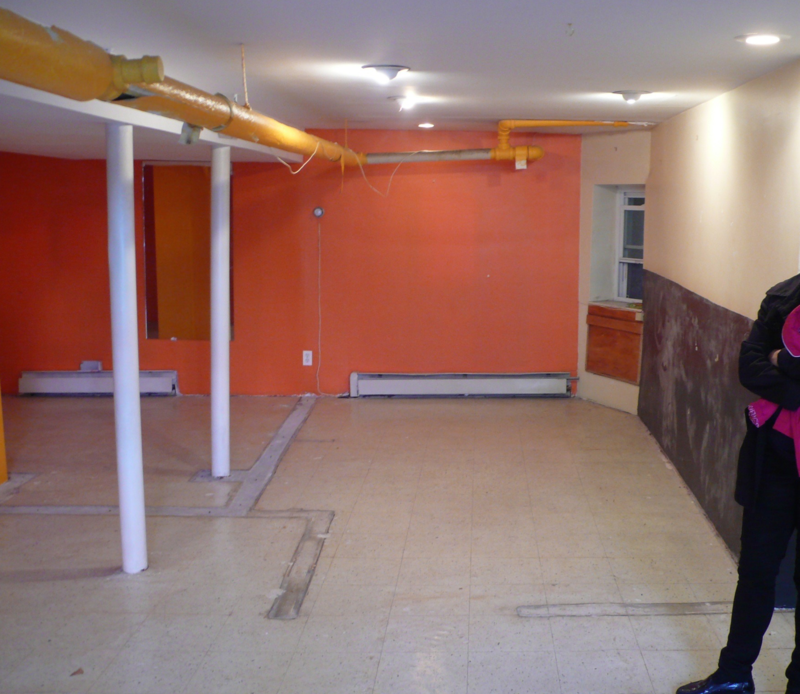 It didn’t look like much but it had good bones as they say, and it was in the heart of Yorkville. 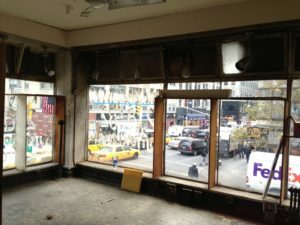 There were many wonderful mom and pop shops still open, some thriving and some not, but it felt more like home than 61st street had started to feel. We got the lease and started the renovations right away, and then had to begin the process of moving 50 years worth of artifacts; clocks, clock parts, every screw, every key and spring had to be packed up and labeled. The clients clocks which were in the midst of repair had to be gingerly packed. 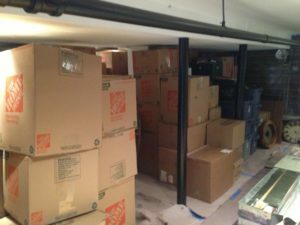 We had to box up everything and gently move it all to the new shop. We had to be out of 61st street before all the work was complete at 82nd street. So the shop was closed for about a month as we finished the work and slowly unpacked the basic necessities to run the shop. We set up the clocks which we were under repair during the time of our move and got them all running. But 50 years worth of stuff takes time unload. It has been a slow process, but over the past 24 months we have been unpacking, arraigning and rearranging the shops configuration, moving towards our goal of having it at 100 % by 2016. Today, I’m happy to say that we have met our mark! Well, almost. I mean the shop is at like 90% but it is always a work in progress. Our repair and restoration space is laid out nicely with ample room for multiple projects to be worked on simultaneously. 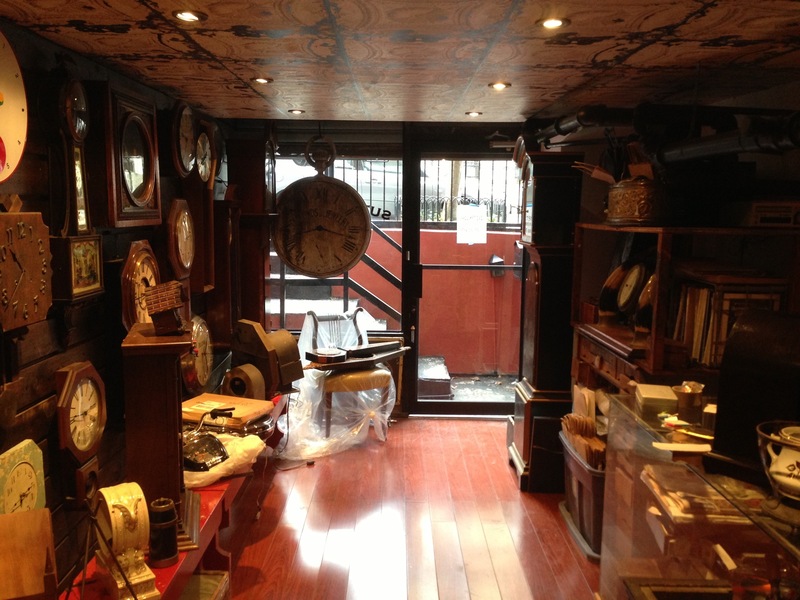 Our sales floor too, is laid out nicely with much room to display our wide variety of clocks and barometers for sale. 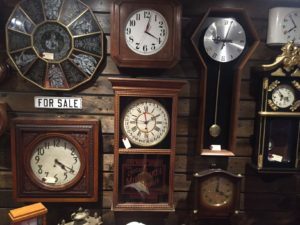 Stop by anytime we are open if you want to drop off your repair (we will give you a free estimate on the cost), if you’re looking for a clock for your home or a unique gift for someone else’s, or just to say “hi”. Look for the notched wood Clock Shop sign and the Gold Gilded Lettering on the store front (By none other than the master Bob Gamache!). 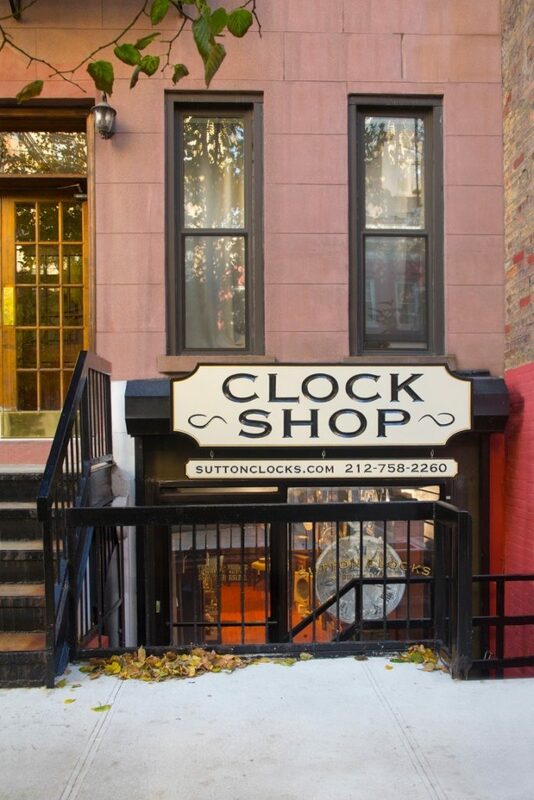 The Sutton Clock Shop has been family owned and here serving NYC for over 50 years since 1966 and we have every intention to be going strong in 2065.